Oh, to find a killer chili recipe that’s over the top delicious! One that’s won dozens and dozens of chili cook off awards. One that kicks you with five different spices and yet has a smooth-as-silk finish on your palate. I found it! 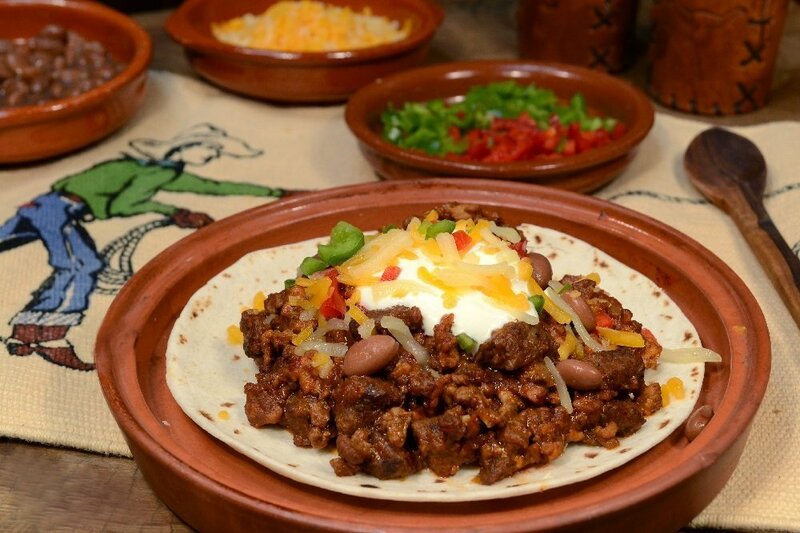 This big and bold-flavored recipe comes from a man who not only knows his chili– he knows food! Scottsdale resident Jack Clifford is the man who created the iconic Food Network. Nearly 20 years later, about 90 million people agree that Jack’s idea was a brilliant one and changed forever the way we view food. Jack was also the inspiration for the cookbook that his chili recipe is in. The House of Broadcasting Star-Studded Celebrity Media Cookbook is filled with scrumptious heirloom recipes from your favorite Arizona personalities. You can pick up at copy at the House of Broadcasting at 7150 East 5th Avenue in Scottsdale or visit www.houseofbroadcasting.com. But for now, grab a big pot and get cooking on the choicest chili ever. Jack says that his chili can be used to repair potholes in the driveway and that the Department of Homeland Security has identified it as a WMID (Weapon of Mass Indigestion.) But I say Clifford’s Chili it’s so good, it’s what the cowboys call MGS–Mighty Good Sop!